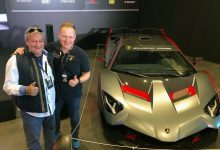 It was a great honor for Egidio Reali, CEO and founder of the MR Group to receive with the award “La Bella Macchina” during Concorso Italiano 2018. 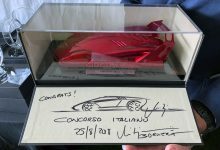 This prize was born in 1992 and was given in the past to great personalities and visionary designers in the world of automotive such as Leonardo Fioravanti, Walter de Silva, Filippo Perini, Horacio Pagani and to legendary drivers like Phil Hill, Stirling Moss and Valentino Balboni. 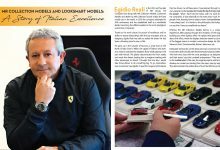 Egidio Reali was included together with all these VIP profiles in the “Hall of Fame” of Concorso Italiano “In appreciation of his contribution to the continuing passion for the automobile”. 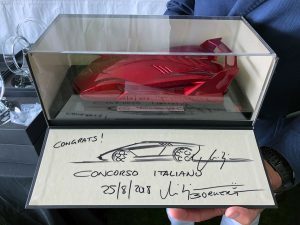 MR Group, Official Supplier of the most important brands in the world of automotive, such as Ferrari, Lamborghini, Pagani, Bugatti, Bentley, was also very proud to create, for the third time since 2016, the sculpture that awards the “Best in show” car of Concorso Italiano. 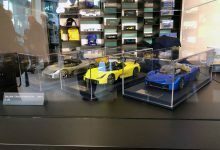 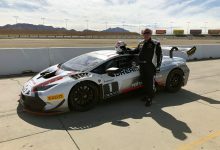 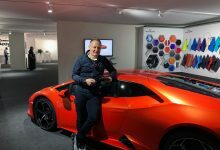 This year, the shape of the sculpture was designed by the Head of Design of Automobili Lamborghini, Mitja Borkert, one of the most important designer in the world of top performance cars. 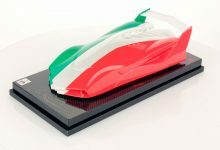 The sculpture to award the best in show.